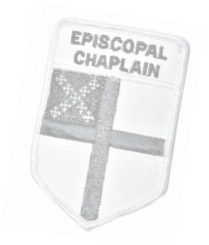 The Assembly of Episcopal Healthcare Chaplains has served the Church and its chaplains since 1950. The organization's title represents the Episcopal Church's long standing tradition of ministry in hospitals. At the time of the Assembly's founding the church through its dioceses and parishes established and supported hundreds of hospitals throughout the nation. And although the number of hospitals identified as "Episcopal" had been substantially reduced, hundreds of Episcopal chaplains and other pastoral ministers continue to represent the Church in its ministry to those who suffer in mind, body or spirit. The Assembly serves as the Episcopal-Anglican collegial association for North American chaplains and other caregivers from shore to shore. A number of Canadian brothers and sisters in ministry join in the fellowship and continuing education opportunities which the Annual Meeting affords. This meeting is held in various geographical locales in conjunction with the annual meeting of the Association of Professional Chaplains. The Assembly also serves in an advocacy role by interpreting to the Church the nature of specialized ministry in healthcare settings and its vital contribution to the extended ministry of the Church. To subscribe to the AEHC's mailing list, please fill out the form below.